Samsung today announced that it’s going to conduct the United Kingdom’s first 5G trials with a focus on Fixed Wireless Access in collaboration with Arqiva. The purpose of this trial is to demonstrate 5G’s potential to serve as an alternative to fibre deployment for fast broadband services. “Our trial with Samsung will demonstrate the enormous potential of 5G FWA as an alternative to fibre for delivering ultra-high speed connectivity to homes and businesses,” said Simon Beresford-Wylie, CEO of Arqiva. The trial is going to kick off in the second half of 2017 in the nation’s capital London and will involve the deployment of an end-to-end 5G FWA solution network in the city centre which will operate on the 28GHz band. 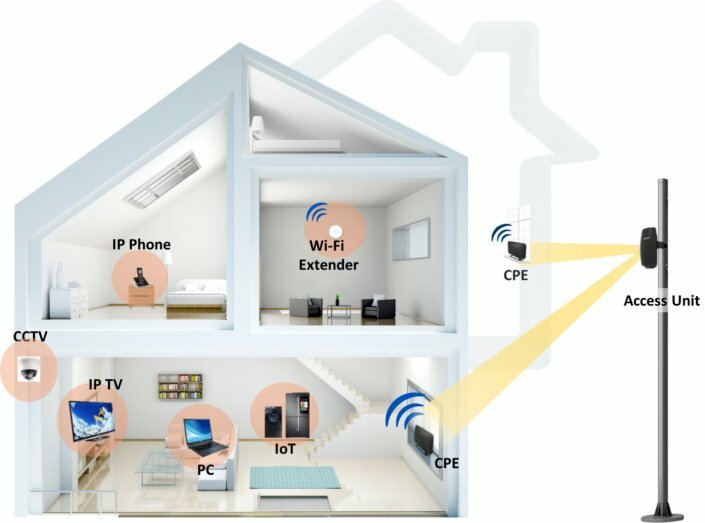 Samsung’s 5G base stations will leverage high-frequency millimeter wave spectrum coupled with advanced technologies like bean-forming to provide high-density coverage and ultra-high-bandwidth to devices installed in nearby homes and offices. Samsung has designed its 5G base stations for easy and rapid deployment while the device for consumers is user-installable which means a subscriber can be online on the 5G network in mere minutes. This is an obvious advantage over fibre solutions which require a significant rollout and deployment time. Arqiva’s infrastructure assets make it the perfect partner for Samsung to carry out these trials as it has mobile sites and lampposts which can be used to install the 5G base stations.